On Wednesday, April 3, a meeting was held with representatives of the Dynamic Division project – co-founders Alexander and Vyacheslav Yurkin. I noticed these guys in October, during the Ukrainian Robotics Competition, which I was holding as a jury with Robot Sophia and the legendary Mr. David Cheng. Since then, we regularly communicate and I watch the success of these talented developers with interest. And now, after the demonstration and negotiations, a Memorandum of Cooperation was signed. The essence of the project – the creation of an industrial robot – scrubber. Innovative, ergonomic, intelligent and economical. It requires minimal operator intervention, at the heart of the project is sharing economy . 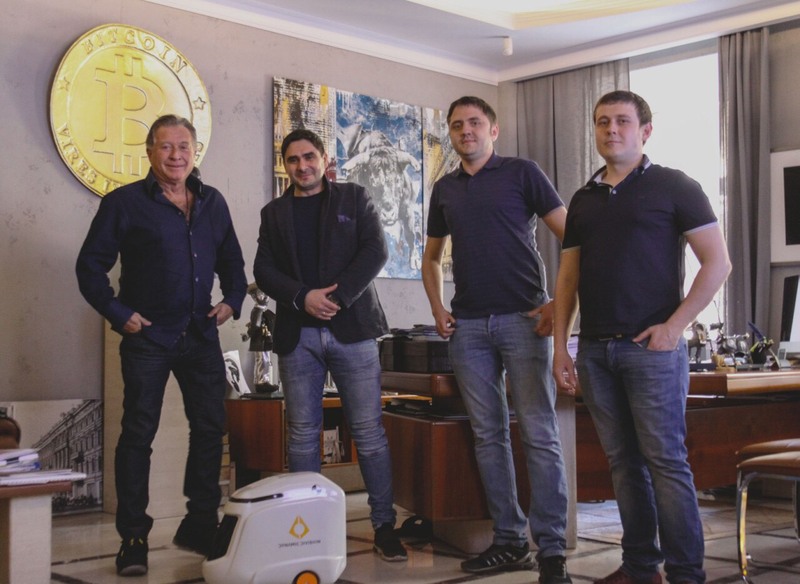 The main goal of the project is the appearance of robots that are accessible to a wide range of users on the market with transparent and clear remuneration. The distribution of rewards occurs automatically on the basis of the # blockchain technology; payment is charged from the user solely for the work done. At the first stage – directly behind the clean (in all senses) square meter of the floor. At the moment, these guys have already been listed in TNW19, PODIUM 2019; signed a memorandum with one of the largest cleaning corporations – Impel Griffin, as well as with the manufacturer of network equipment – Internet centers Keenetic. I believe that this kind of project can clearly demonstrate the possibility and accessibility of the use of technological advances in our daily life, as well as show how close is the time of coexistence of a robot and a person.